Final Price $2.01 Money Maker! Final Price Potentially $3.00 for $20 worth of Product! 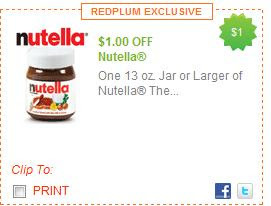 $1.00 Off Nutella - And Other Great Coupons! *plus submit your receipt to Ticket Zone to redeem for your choice of tickets! Total = $1.00 for 3 or $0.34 each! Total = As low as $1.17 each! Buy $15 or more in products below, get $5.00 off your next shopping trip! It's Baby Week at Michaels! They have some great products on sale geared towards baby crafts, as well as events going on almost everyday this week. These coupons are good 8/29-9/4. Find a Michaels store near you here! Here are this week's back to school deals. 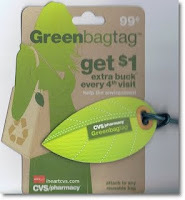 **Ad says to scan your CVS card at the scanner of coupons on the following products for more savings!! Final Price: 2/$1.50 or $.75 each! Final Price: two for $.48! *free sample comes with $1 coupon - making this a money maker if you have it!